Lydia Brewster - Assistant Director for Community Services for St. Vincent de Paul Middletown. Cities and towns have laws to keep people from engaging in behavior that may disturb others, like sleeping on park benches, drinking in public, or just plain “loitering”. What does it mean when just hanging out in a public space puts you in violation of these laws? This hour we take a hard look at loitering ordinances and other laws that advocates argue criminalize individuals, especially those experiencing homelessness. How should cities draw the line between promoting public safety and discriminating against some of their most vulnerable citizens? We check in with the city of Middletown, and talk with business leaders and advocates for those experiencing poverty about what it means to “loiter” on Main Street. And we hear from a homeless couple who has experienced the far-reaching consequences of these local laws. Sade and Donny - Members of the “Housing Not Jails” initiative of the Connecticut Bail Fund; they are both residents of New Haven and currently homeless. They’ve asked that we don’t use their last names. Chion Wolf and Tucker Ives contributed to this show. The state activated its severe weather protocol as temperatures dropped toward a low of three degrees in parts of Connecticut Wednesday night and Thursday morning. 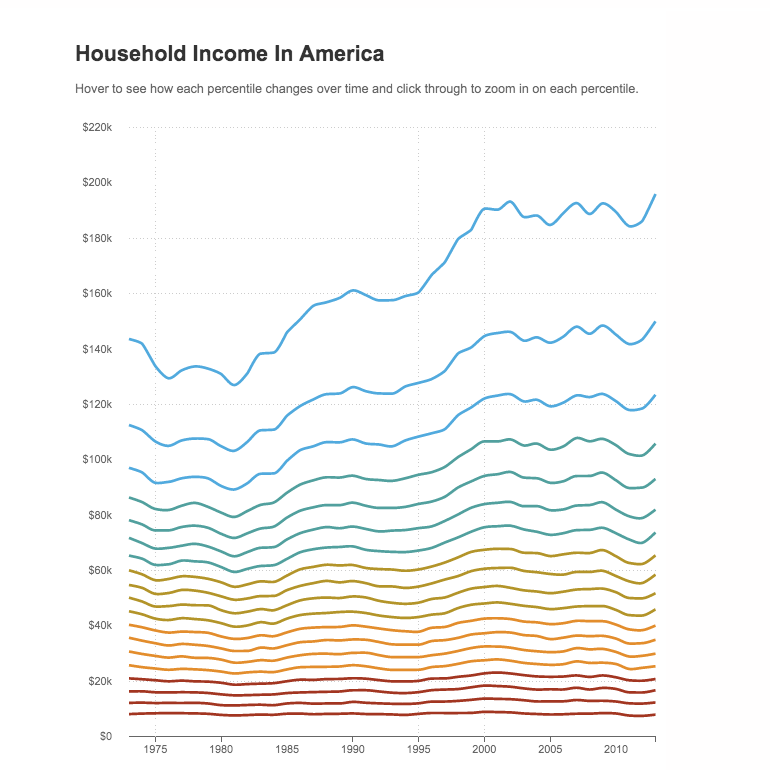 Hover over each line to identify household income, and click through to see the percentage growth over the past 40 years. The graph reveals a striking pattern. After adjusting for inflation, income was basically flat for households in the bottom half of the economic ladder. Right around the middle, income starts to pick up — and the higher you go up the income ladder, the more income growth you see.